For these motorists, AMSOIL Signature Series Synthetic Motor Oil is guaranteed for 25,000 miles/12 months (15,000 miles/12 months in severe service).AMSOIL XL Synthetic Motor Oil is guaranteed for 10,000 miles/6 months, or longer where recommended by electronic oil life monitoring systems. They offer an outstanding combination of performance and value. In order to maintain business, products must evolve with changing times and consumer demands. Research and development departments are charged with bringing cutting edge design, technology and new thought to products that inspire and wow with their customers. No place is that more relevant than in the automotive industry. Cars must evolve with changing technologies, after market technologies and so on. Keeping up is a daunting task. To put some perspective to just how big automotive R&D is, try $102 Billion spent in R&D! That’s 75.49% more than what was spent annually on Aerospace and Defense research and development. These types of dollars are staggering in scope of research. All so you and I can drive a cool car. You could say this is an extremely competitive space. What’s at stake as a result of research and development? Let’s start with safety. All of us want to be safe driving our cars, that’s an easy we can all agree upon. The technology that runs front airbags has to work in milliseconds more to the point in less than 30 milliseconds. It’s about the equivalent of a blink of your eye. In that time your cars computer has to evaluate information coming in from your steering, and brake system. Determine whether or not to deploy airbags and at what level to deploy. If it’s a side impact that has to occur three times faster. Even your engine requires information that must be computed with a result in milliseconds. All the while your onboard computer is getting feedback from the driver in the form of acceleration, deceleration, braking, hard braking and so on. To put those numbers in perspective GOOGLE spends $8 Billion, and Microsoft spends $10.4 Billion. As you can see these incredible spends rival two technology giants. Volkswagen spent in 2013 more money on research and development than any other company on the planet. It’s interesting to note that Apple® spends roughly $4.5 Billion in research and development and is recognized as the most innovative company in the world. They are working on Apple® with Siri™ for the car and have aspirations to bring a car to market. With technology companies entering the automotive space with driverless technologies it will be interesting to see how this changes the automotive climate. The industry is also seeing high level executives migrating over to these technology giants in droves to man their automotive divisions. R&D in most firms is treated as an expense. A line item on financial statements for tax purposes instead of a capital expense. When scientists or researchers are hired for projects their salaries are part of the research and development expense. The majority of automotive firms are directing their focus to acquiring small technology firms that have cutting edge technology. This keeps that technology in-house to give automobile companies an advantage over the other with fancy gadgets or technology that improves a cars performance. Whether that is in MPG, clean energy, or alternative fuels. Automotive generally ranks in the top 3 in research and development spends, behind pharmaceuticals and technology. As economic climates change it’s typically the R&D departments that get hit with cuts to sustain businesses through rough patches. Research and development spending is clearly monstrous. Here is some food-for-thought, Toyota in 2009 spent $1.1 million dollars per hour on R&D. Each year depending on economic factors each major manufacturer worldwide will spend billions of dollars in finding that next new thing that sends them hurdling through the marketplace with the next great car, truck or SUV model. With the exception of 2013 Tesla grew its research and development by a staggering 670%. Moving into the automotive space is not for the faint of heart and not without some very deep pockets. To stay competitive in today’s automotive marketplace you must stay on the cutting edge of technology. Everyone can agree when you buy a computer most likely in the next few months the technology will be outdated to some degree. Cars have twenty five times more onboard computing power than the Apollo moon shots. The car you drive has more technology than what it took to get a man to the moon. That in and of itself is staggering! Toyota from 2007 to 2015 increased its research and development spends by 12.77%. In 2015 Toyota spent ¥1.4 million. The year 2015 showed a marked increase across the board in research and development spends worldwide. This goes in-line with robust growth and a recovering automotive space. With record new car sales manufacturers are spending what could arguably be called mountains of money in new research for that great next thing. On the horizon are driverless cars being developed by Google® who is leading the way in this technology. Utilizing their own technology in GPS, mapping and computing these cars are already gracing the streets of California and Nevada. It will be amazing to see what is beyond driverless? Can we even imagine such a thing? Be assured with the billions of dollars being spent by all manufacturers someone has dreamed the dream beyond a driverless vehicle. Someone’s drawing board has the next Plato, the next climbed peak in research and development. Total research and development dollars definitely have an impact on jobs and home economies. Almost half of most R&D budgets stay in home countries and the rest spent worldwide. Japan, Germany and the United States about 60% of the total dollars spent stay in their home countries. The rest is spent abroad from their homeland. What’s on the horizon for R&D in automotive is yet to come. When you look at the technologies in the news it truly is an exciting time for the automotive industry. 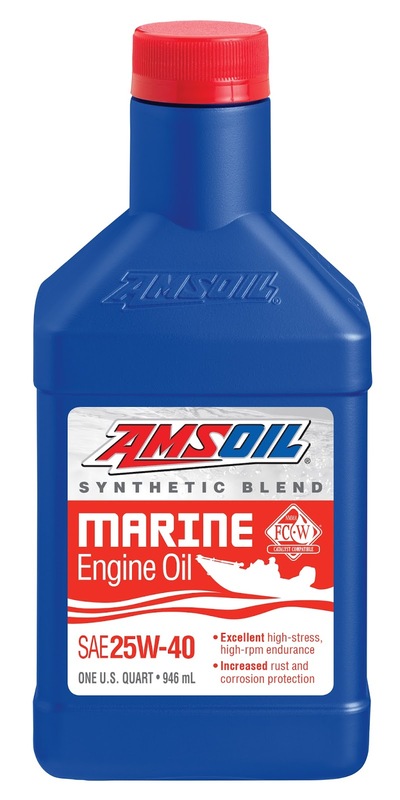 AMSOIL INC. has introduced a new AMSOIL 25W-40 Synthetic-Blend Marine Engine Oil to round out the family of AMSOIL marine products. 25W-40 Synthetic-Blend Marine Engine Oil is specifically designed for Mercury* motors that specify a synthetic-blend oil. The full line of AMSOIL synthetic diesel oils withstands the punishment of modern and older hardworking turbo diesels. Model-year 2007 and newer diesels use diesel particulate filters (DPFs) and other exhaust-treatment devices to meet government emissions regulations. To function properly and last as designed, DPFs and exhaust-treatment devices require low-emissions oils that meet the API CJ-4 specification. 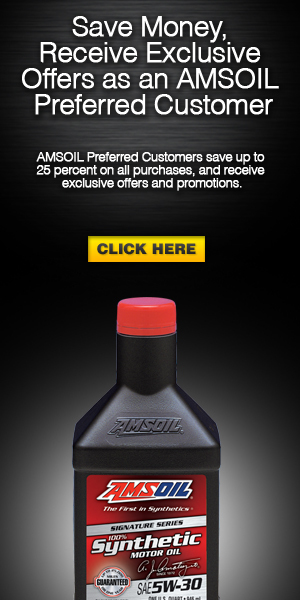 Diesels built prior to 2007, however, can use any AMSOIL synthetic diesel oil of the correct viscosity. Fuel system performance is critical to getting the most out of your diesel, and modern high-pressure common-rail (HPCR) designs just add to the challenge. Fuel economy and performance are highly dependent on getting the right amount of fuel into the combustion chamber in the correct physical form at the correct time. With variable diesel fuel quality at the pump and today’s sophisticated fuel-delivery systems, it doesn’t take long for performance issues to surface. Plus, today’s ultra-low-sulfur diesel (ULSD) doesn’t have the lubricating properties diesel fuel once had, inviting fuel pump and injector wear. Highly concentrated AMSOIL diesel fuel additives are designed to maximize fuel-system performance and life, helping prevent expensive repairs and injector replacements in all types of diesel engines, including HPCR. 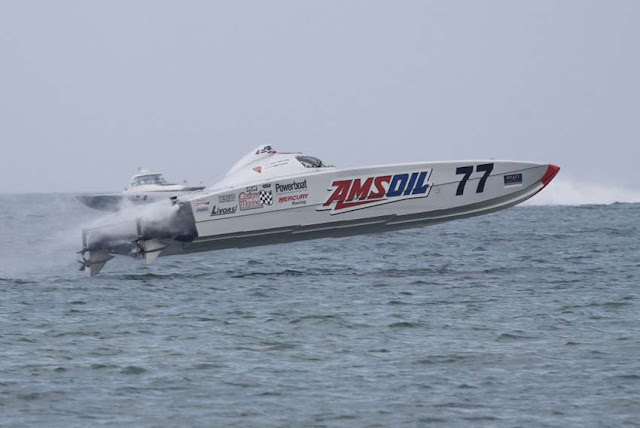 New AMSOIL 25W-40 Synthetic-Blend Marine Engine Oil (WCM) highlights improvements to the AMSOIL marine product line. Existing products receive fresh labels and packaging; their formulations and pricing remain unchanged. AMSOIL 25W-40 Synthetic-Blend Marine Engine Oil is formulated specifically for Mercury* motors that encourage the use of synthetic-blend oil. Mercury owner’s manuals actually discourage the use of full-synthetic oil. Since Mercury is the market leader and most Mercury owners won’t consider straying from these guidelines, 25W-40 Synthetic-Blend Marine Engine Oil was developed to help Dealers reach these customers and grow sales. It presents another opportunity for you to earn sales where no opportunity existed before.